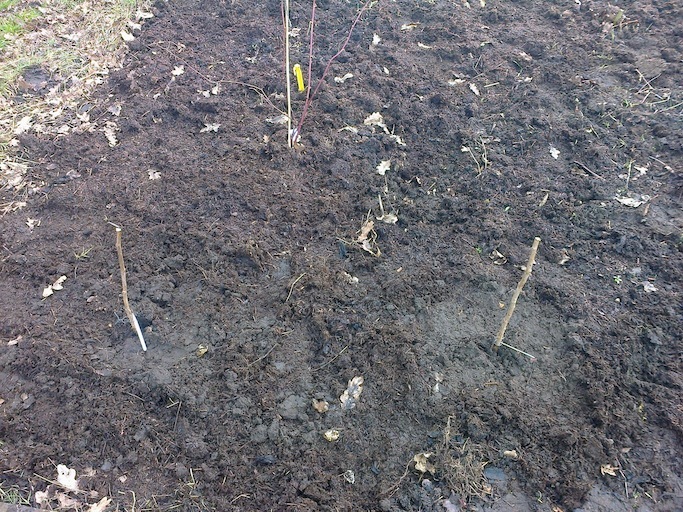 Yesterday, we bought 5 yellow raspberries (All Gold), and K planted them on the allotment this morning. 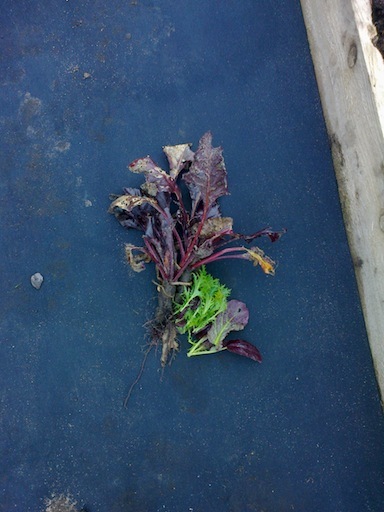 The rhubarb is also coming along nicely, and we managed to harvest a very small crop of the world’s tiniest beetroot and some winter lettuce. 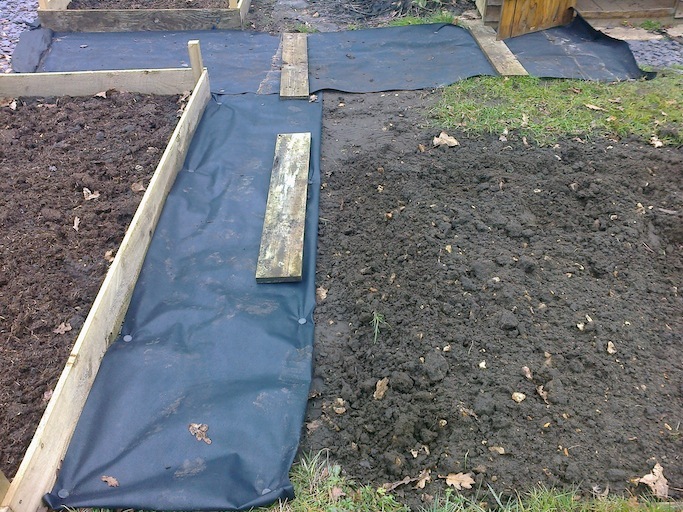 As we’re keen to have an area for sitting in front of the shed, plus another raised bed there, we have marked the paths around the bed so we know what we’re doing a bit more. 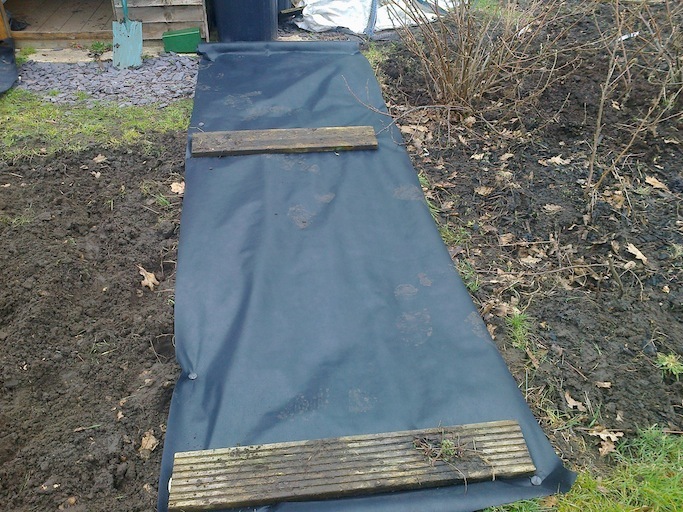 I think we’ll lay slates on the paths in the end as they’ll be lighter to transport than gravel, but we’ll have to see. 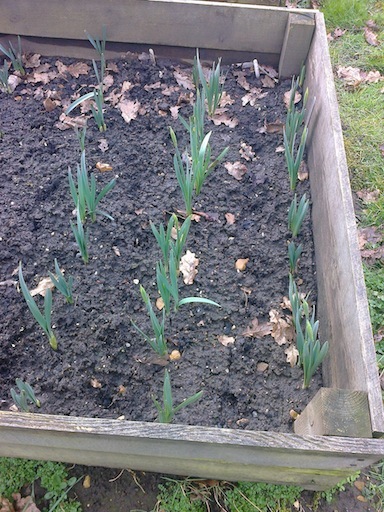 We’re thinking of putting wild flowers in that new bed, but no final decision as yet. I’d rather like a block of solid colour as it can look amazing, but we’ll have to see. 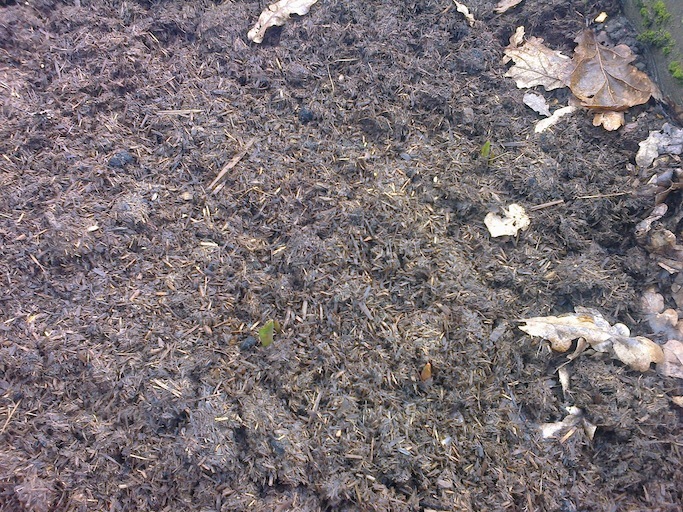 In the meantime, the narcissi are doing well and look like they might burst into flower any moment now, hurrah! Sadly, however, the squirrels (wicked squirrels!) 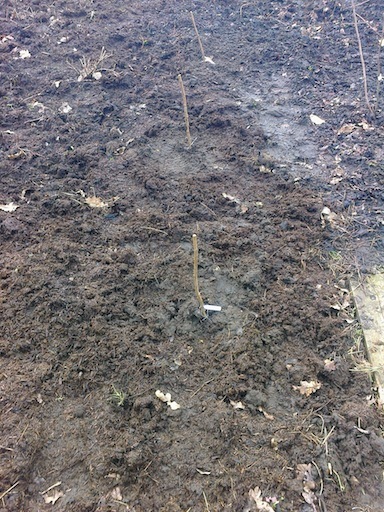 have found my lovely tulip bed and dug out the middle of it, sob! 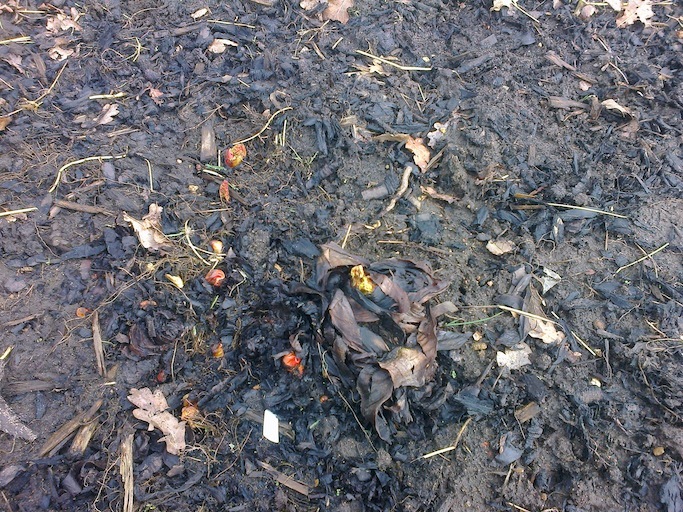 Thankfully they’ve left some around the edges, so there’s still hope as we can now see the tips of them. 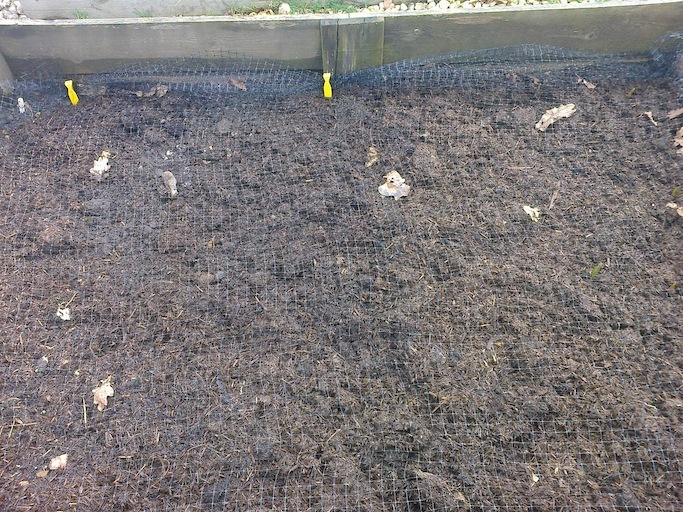 As a result and to discourage further digging, we’ve netted the bed. Next year, we’ll do that when we plant the tulips! 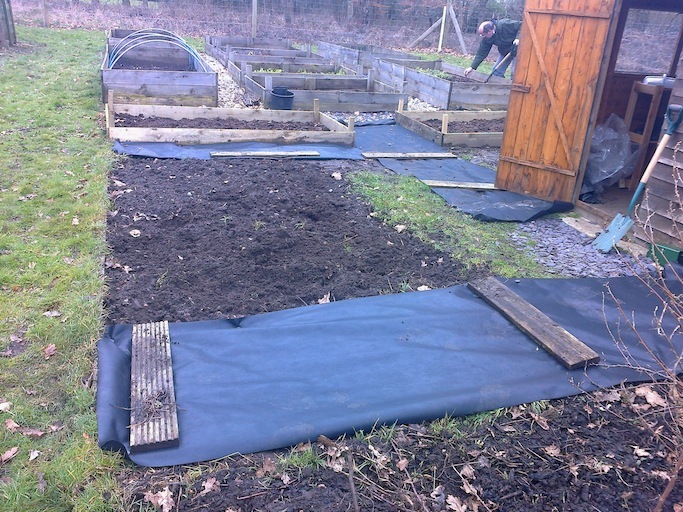 Categories: Allotments | Tags: beetroot, narcissi, paths, raised beds, raspberries, rhubarb, squirrels, tulips, wild flowers, winter lettuce | Permalink.